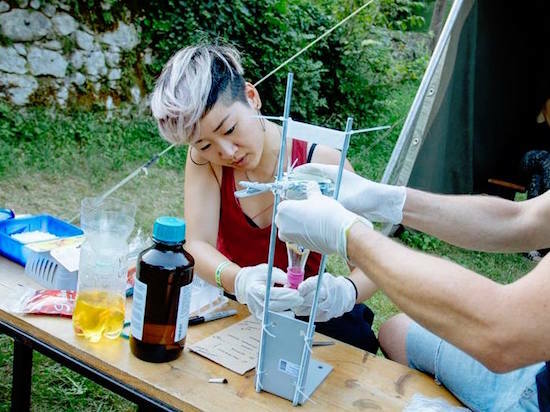 Mary Maggic Tsang is an artist and biohacker working at the intersection of biotechnology and civil disobedience. Maggic’s most recent projects Open Source Estrogen and Estrofem! Lab generate DIY protocols for the extraction and detection of estrogen hormone from bodies and environments, demonstrating its micro-performativity and potential for mutagenesis, i.e. gender-hacking. They hold a BSA in Biological Sciences and Art from Carnegie Mellon University and a Masters in Media Arts and Sciences from MIT Media Lab. Maggic a non-binary Chinese-American and accepts she/they pronouns.